Here at ZeldaInformer, we’re known for many things to do with Zelda. There’s our extensive news coverage of everything Zelda fans need and stuff you don’t need. There’s our consistent flow of casual articles, which are often strongly opinionated, and the famed in-depth articles of The Bombers. There’s our video content, our Top Tens and so on and so forth. We’re known for saying what we think, yet, there is something that we all unquestionably think, but we hardly ever say it. That is, thank you Nintendo for Zelda. All too often we’re all too busy looking at the things that we want to see improved, or theorizing how everything all ties together. We regularly chat about every little aspect of our beloved series on forums, through IM and with our friends, but hardly ever do we simply sit back and say, ‘thank you Nintendo for making The Legend of Zelda’. Maybe we take it for granted that they made this series for us, however, being thanksgiving, let’s give some thanks. There’s so many fond Zelda memories to be thankful for. Whether it’s the memory of the first time you played the awe-inspiring Ocarina of Time, or followed that up with the unique game of Majora’s Mask. There’s all the modern Zelda games, and the memory of going back and appreciating the classic games that shaped the very gaming industry of today. For the many hours of enjoyment: for the frustration and the triumphs. For the time spent with friends and family; for the time spent making new friends, all because of The Legend of Zelda. For the puzzles, the consoles and the stories. For the days when I ended up getting nothing done and the sleepless nights. For the chance to theorize, or simply the chance to appreciate and discuss what is given, we are thankful. Most of all, Zelda gives us something far beyond anything accomplished through advanced graphics or complex scores alone. It gives us hope and it gives us encouragement. Thank you Nintendo for the inspiration of the underdog clad in green always living beyond expectations to be the hero. Thank you for the emotive and lesson-full stories in Majora’s Mask. 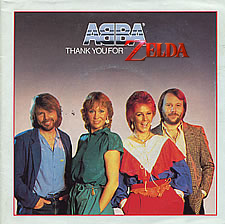 Thank you for making Zelda something that is much more than a mere game series. I don’t know where the original idea came from, but Shigeru Miyamoto, thank you for your creation. Eiji Aonumu, Satoru Iwata, and the numerous other people that make up the Zelda team, we are all grateful for what you’ve done. Even Bill Trinen, though many people say you’re not a great translator, we thank you for helping to bring the Japanese series to our English world. Nintendo: we all give you many thanks for creating The Legend of Zelda, the series many of us live for. ZeldaInformer and all of the Zelda communities exist because of you, and we thank you. So I say, thank you for the Zelda series, the games we’re playing. Thanks for all the joy they’re bringing. Who can live without them, I ask in all honesty, what would life be? 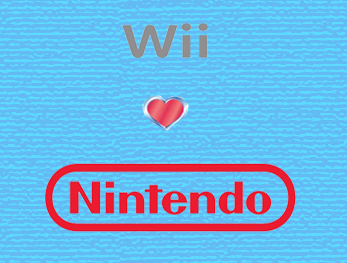 Without Link and Zelda what are Wii? So I say, thank you for the Zelda series, for giving it to me.